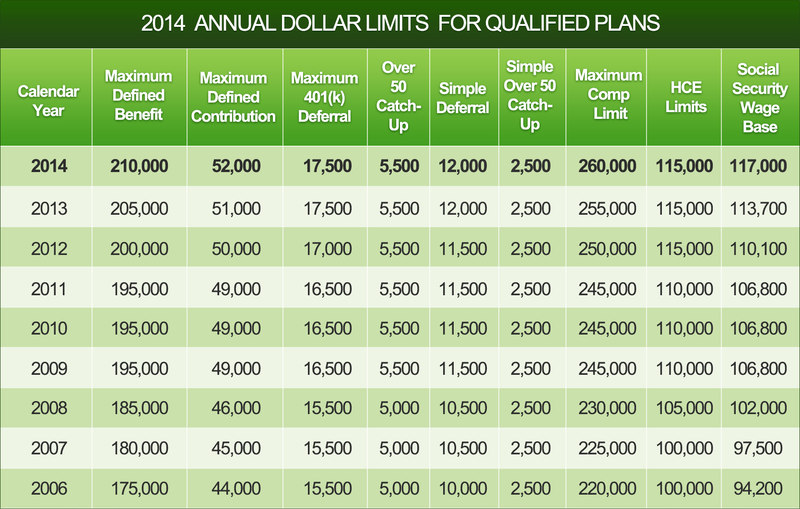 Here is your table of annual dollar limits for 2014. These are already being used in all Retirement Planning Center products! Click on the table below to view & download the table as an image, or visit therpc.com/mobile on your mobile device for quick access.